John the son of Zebedee probably wrote his three NT letters no later than the 90s a.d. He wrote from Ephesus (in present-day western Turkey), perhaps to churches like those mentioned in Rev. 2:8–3:22. John also wrote the Fourth Gospel and the book of Revelation. First John calls readers back to the three basics of Christian life: true doctrine, obedient living, and faithful devotion. Because “God is light” (1:5), Christ’s followers overcome wicked people who oppose them. God’s Son lives in and among them. He is greater than the spirit of “the antichrist” now in the world (4:3–4). Those who believe in the Son of God have assurance of eternal life (5:13). The focus of 2 John is living in God’s love according to the truth of Jesus Christ. This love extends not only to God but to others as well. It is also wise; it does not “go on ahead” of biblical revelation (v. 9). It does not aid enemies of the gospel (vv. 10–11). Instead, Christ’s followers “walk according to his commandments” (v. 6). Through faith they “win a full reward” (v. 8). The theme of 3 John is faithfulness despite opposition. The man who received the letter, Gaius, faces a troublemaker named Diotrephes. By “walking in the truth” (vv. 3, 4), Christians can live out the message that John teaches in all his letters. 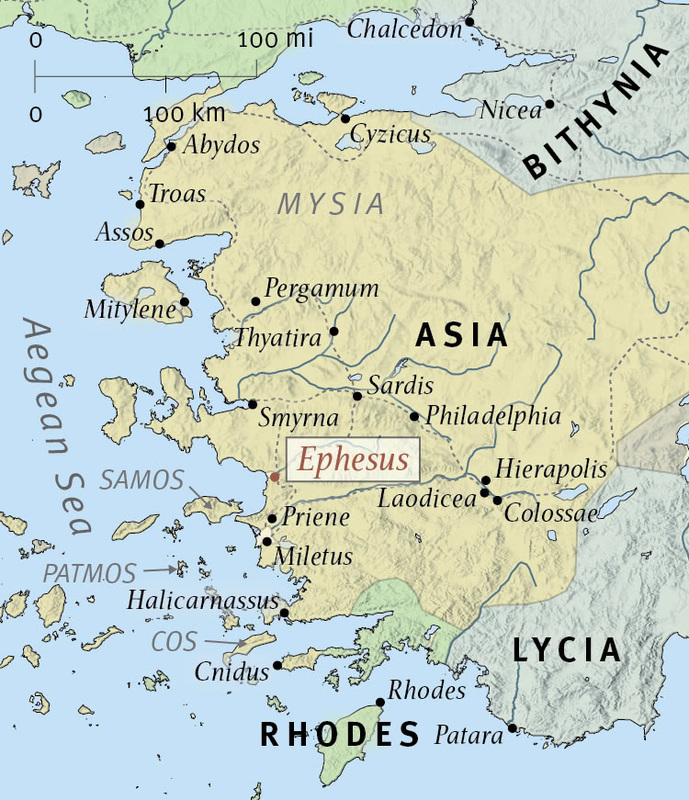 John likely wrote 1 John from Ephesus, where apparently he had relocated near the time of the fall of Jerusalem to the Romans in a.d. 70. The letter was probably intended to be read by the church in Ephesus and perhaps also by other churches in the surrounding cities. 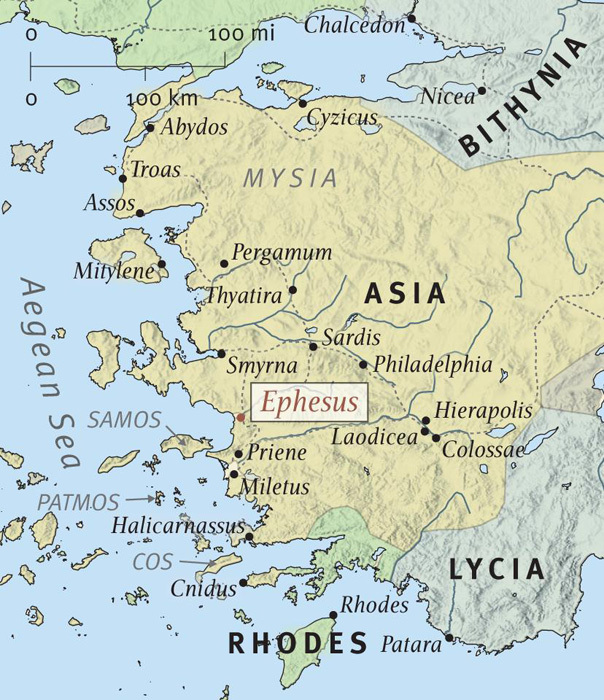 Ephesus was a wealthy and highly influential port city in the Roman province of Asia, and was renowned for its temple of Artemis (Diana).